Casebinding is a great way to step up to a hardback book! This premium binding is available for yearbooks with 32 to 120 pages and is the most economical hardback binding in the yearbook industry. With casebinding, the book blocks are glued directly to the cover, providing a sturdy and attractive alternative for small- and mid-size yearbooks. Casebinding is a proven winner, making it a popular choice with middle schools and larger elementary schools. Gloss lamination is FREE with this cover option. 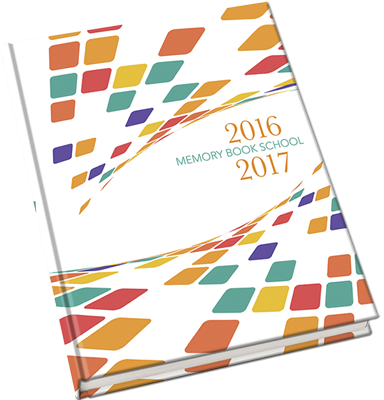 Memory Book Company offers the best price in the industry—only $2.85 more per book. Smythe-Sewn hardback binding is the ultimate binding option for yearbooks with 40 or more pages. The pages are sewn together, then glued and attached to the cover. These high-quality yearbooks will lie flat when opened and will withstand lots of use, making them the sturdiest, most attractive binding option available. Smythe-Sewn books also lend themselves to special paper and foiling options not available with our other bindings. Gloss lamination is FREE with this cover option. These books take a little longer to produce, so make sure you plan ahead for your Smythe-Sewn yearbook.